If you would like to make sure you and Dr. Kaltman are a good fit before establishing a doctor-patient relationship, this gives you an opportunity to meet her and have a preliminary discussion at no charge. For someone with an abnormal mammogram report or an abnormal biopsy who wants more information before the next step. This option provides a strategic planning session for someone who is about to start investigating treatment options. Chart review, generally 15 minutes . Written summary of our visit, generally 15 minutes. A physician visit prep sheet for your next consultation. 15-minute follow up call or video consultation. For someone who’s been diagnosed with breast cancer, has already seen specialists including a breast surgeon, radiation oncologist and/or medical oncologist and wants another set of eyes to review the specifics of the diagnosis and make recommendations for treatment. Chart review, generally 30 minutes. Comprehensive written summary of our visit, generally 30 minutes. For someone who anticipates a protracted course of therapy and wants guidance every step of the way. Requires initial "Second Opinion" consultation to familiarize Dr. Kaltman with the medical history. Video consultation for desired length of time. Written summary of topics and action items discussed during the video consultation. National Cancer Institute-sponsored clinical trial search, if interested. For someone with newly diagnosed or advanced stage breast cancer who is looking for clinical trial options before proceeding with their planned therapy. 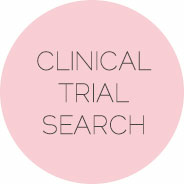 National Cancer Institute-sponsored clinical trial search appropriate for your diagnosis, generally 30-45 minutes. Video consultation to review findings, generally 45 minutes. Written summary of trials and contact information. For someone who feels like they are getting lost in the process and would like Dr. Kaltman to speak with their providers to come up with a comprehensive treatment plan. Video consultation to discuss specifics of the case and the issues, generally 60 minutes. Coordination of care calls between other providers, generally 30 minutes. Follow up call or video consultation to communicate resolution of the issue and subsequent plan, generally 15-30 minutes. You can meet with Dr. Kaltman for as little or as long as you like without a plan for further consultations. We can work together to figure out what you may or may not need moving forward.